As if finding the right ostomy appliance weren't hard enough, you have to worry about being stuck with a high price! Here are some tips to ensuring you get what you need at the lowest price. Not sure? Call Hollister at 1-888-740-8999 to ask questions and get a free sample. Check with your supplier to confirm the products you want are compatible and the quantities you need. Pricing -- Check around by calling local medical supply stores as well as online to make sure you are getting the lowest price. Be sure to check on added costs like shipping! Some stores pledge to match pricing and others, like Parthenon, will beat any price lower than their stated price. Delivery Time. 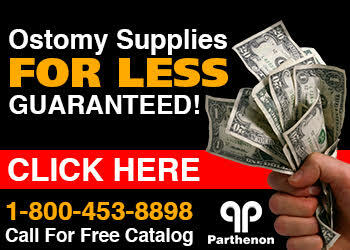 Some stores will stock the ostomy products you want for pick up while others will ship it to your door step. Decide which is best for you and go from there.